With Kettler Casual Dining you can enjoy dining and relaxing in one beautiful set of furniture. Eat, drink, entertain, relax; with friends, with family; casual or formal. Each piece of Kettler furniture is constructed using high quality materials and manufacturing processes, many of which are unique and exclusive to Kettler. 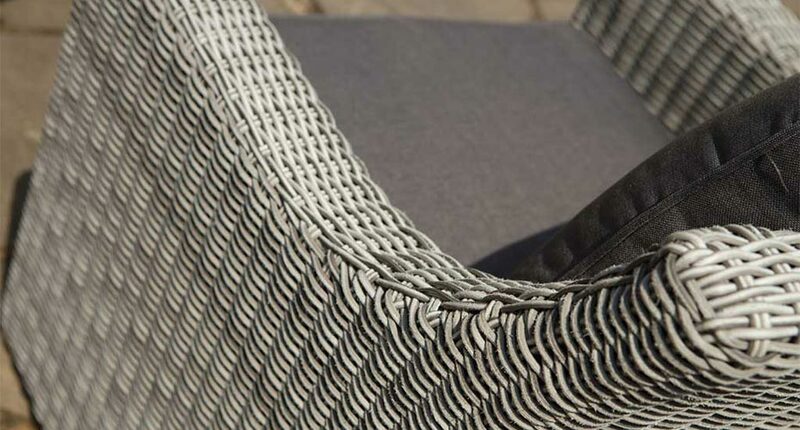 The hand-woven Madrid Corner set also comprises a two part corner sofa, armchair, bench and a casual dining table with a glass table top to complete the set. 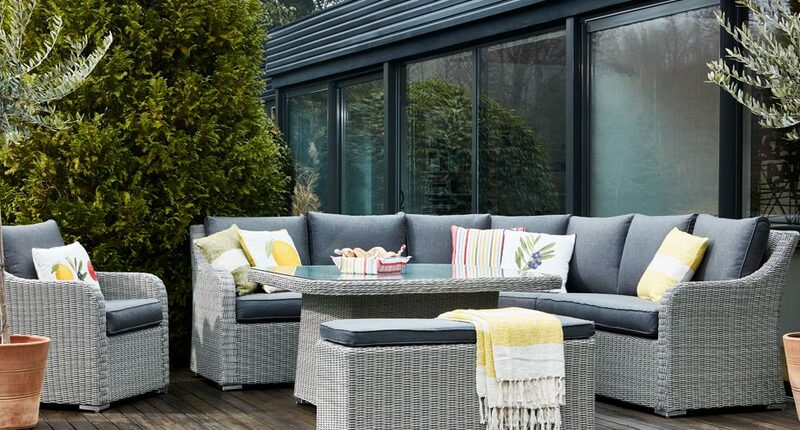 Available at Notcutts, the Kettler Madrid Corner set is ideal for use on the patio or garden lawn and brings a little extra luxury to summer days and evenings dining out in the garden. Its sturdy woven rattan finish means it can stay outside all year round allowing you time to get on with other garden chores rather than having to move it into storage whenever not in use. 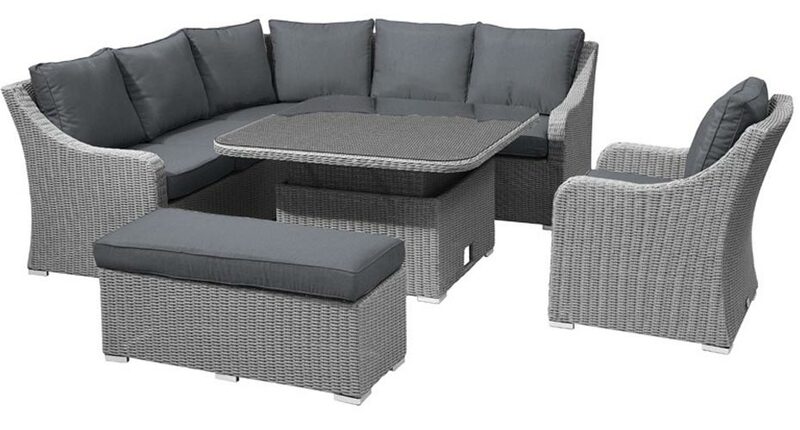 The RRP on this corner set is £2,677.00 BUT we are offering this at £1,999. That’s 25% off! The offer runs until April 27th, 2019 while stocks last.